Buddy Hield on the win over the Heat with new players, playing against Dwyane Wade a final time & something every Kings fan should hear. "The city hasn't been in the playoffs since 2005-2006 and it would be a joy to get them back there." - Phoenix is 0-13 straight up in its last 13 games. - The total has gone under in eight of Phoenix's last 12 games against Sacramento. - Sacramento is 4-1 SU and 4-1 against the spread in its last five games. - Sacramento is 8-1 SU in its last nine home games. 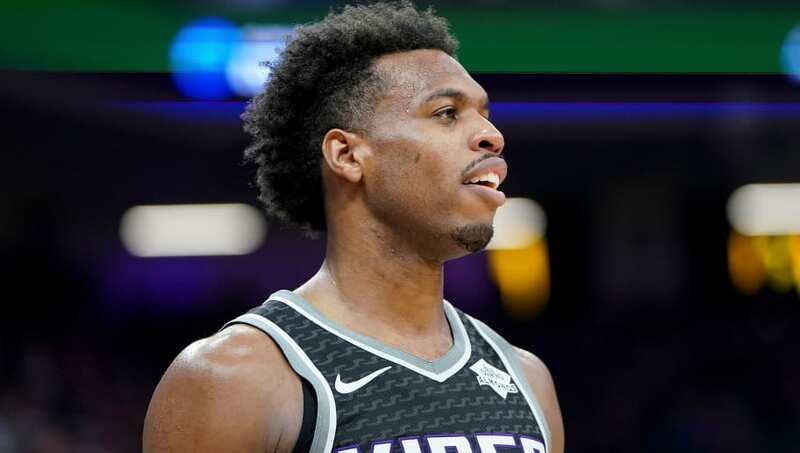 - Buddy Hield Total Points: Over 20.5 (-110) – Buddy Hield is on a tear right now. Over his last five games, Hield has averaged 22.6 PPG while shooting 50.6 percent from the floor and 43.8 percent from beyond the arc. And Hield's hot shooting could be problematic for a Phoenix Suns' defense that struggles defending opponents from 3-point range. Opponents convert 36.7 percent of their 3-point attempts against the Suns' defense, so Hield should get some easy looks from de tonight.